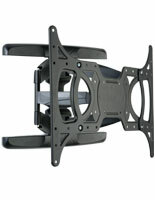 The Monitor Stand is a Wall Mount that Includes Hardware for Installation. Orders Placed at MonitorStandsNow.com by 1 pm EST Ship Out Same Day on 90% of Products! 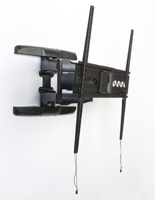 Weight Capacity of Corner Wall Mount: 132 lbs. VESA compatible: 100mm x 100mm, 200mm x 100mm, 200mm x 200mm, 400mm x 200mm, 400mm x 300mm, 400mm x 400mm, 600mm x 400mm, & 800mm x 400mm. This monitor stand that has a unique design is perfect for placing your television against two walls in the corner of the room. The mount has (2) separate plates for installing the unit onto different surfaces. 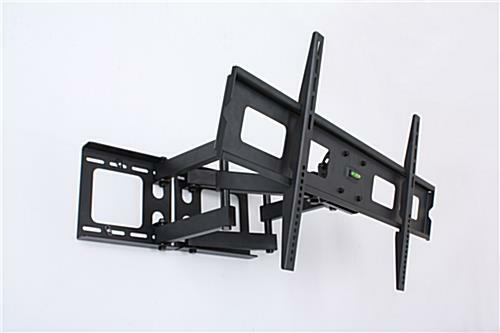 The plasma display, monitor stand for home or business has articulating arms to extend your television out from the wall up to 20-1/4". When flush against the wall, the mount sticks out 4-5/8". 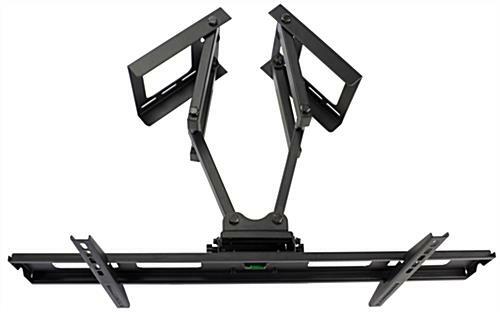 The monitor stand for televisions, like an LCD stand, holds a 37" to 63" television that weighs up to 132 lbs. 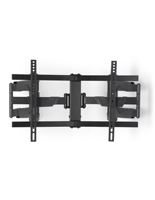 This display is VESA compatible to hold most sizes of flat panel displays. 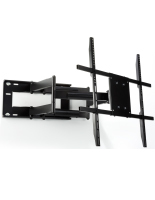 The tilting monitor stand that holds a 37" to 65" television holds sizes ranging from 100mm x 100mm through 800mm x 400mm. It is recommended to check if your television is wide enough to hide the adjustable bracket. This monitor stand that has a tilting bracket is unique because it allows your television to be mounted in a corner. 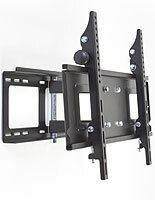 Two separate mounting plates can be mounted on opposing surfaces, with the articulating arms ensuring the television facers the proper direction. 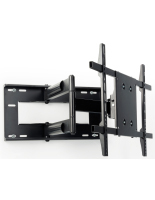 The flat panel display has a tilting bracket that allows you to angle your television to provide the best view. 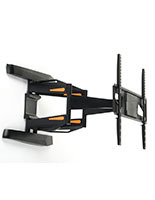 The necessary hardware is included with the flat screen display to install most monitors. However, some may require specific screws that are available at any local hardware store.